Davenport Campbell have been selected to work alongside Francis-Jones Morehen Thorp and Sissions architects on the urban regeneration of the Australian Technology Park (ATP) located in Eveleigh, Sydney. The 13.2 hectare precinct will transform into state-of-the-art commercial buildings which will be home to 10,000 extra workers by 2020. 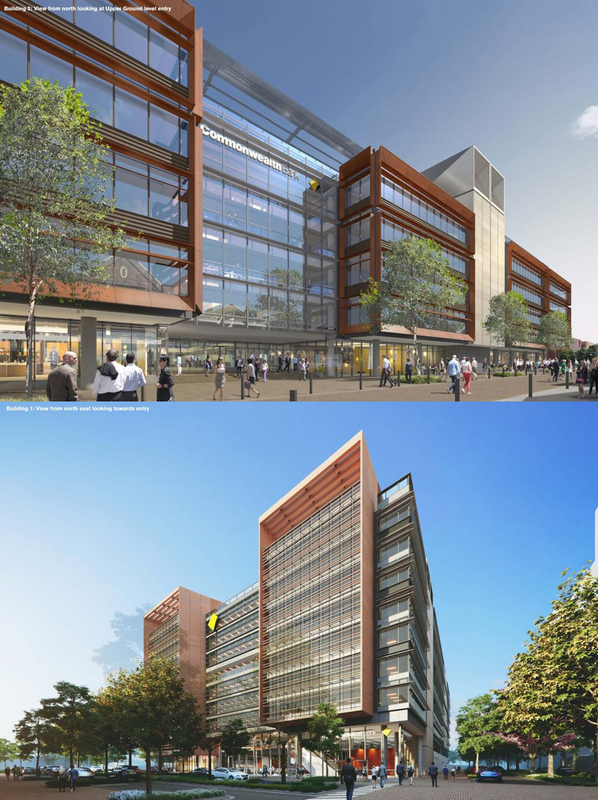 Buildings 1 and 2 will be the new headquarters of Commonwealth Band of Australia, occupying an estimate of 95,000 square meters of commercial, retail, community and childcare NLA. “Externally, the buildings respond to the urban fabric of their surrounds but also quite heavily to the sustainability aspirations of the project. Building’s 1 and 2 are targeting a Min Green Star Design and As Built v1.1 rating of 6 stars as well as a 5 star NABERS energy rating. As such their façade materials are high performance and designed to optimise thermal comfort, energy and visual light transmission performance. Internally they are also quite different. Building 1 is planned around a pair of workplace accommodation wings which run in the east / west direction and along a linear atrium space. One plate is curved while the other is regular and both will be joined by bridge elements and platforms situated at different levels along the full length of the building. Building 2 will be divided into three long parallel fingers of office accommodation which have been arranged in an east west direction across the site and all run towards a full height atrium space at the centre of the building. These plates are separated with top lit light slots to provide natural light and spatially rich void spaces in between the different work zone.” Nathan Johnson of Architecture and Design. Davenport Campbell are pleased to be collaborating and working with Woods Bagot on such an important and innovative project.